Congratulations! You have decided to purchase a new home. In the documents below, you'll find a selection of informative articles on mortgages, viewing homes, the offer, closing details and moving. This material provides you with the information you need to help determine which home is right for you, and to help you make a wise buying decision. For banking links and a list of local mortgage brokers, click here. To browse through current listings, visit my valley listings page. Don't hesitate to contact me if you have any questions about buying a home in Greenwood, Kingston, Berwick, Middleton, or elsewhere in Nova Scotia. Simply select your desired files below and fill in the form provided. In the excitement of buying a new home, some buyers tend to overlook a few things. When you have a systematic plan before you shop, you can avoid some costly errors. Here are tips on making the most of your home purchase. When shopping for a home, it’s easy to fall in love with certain features. But you have to ask yourself, "Do I really need it?" Here are a few common “extras” and a quick assessment of their relative values. 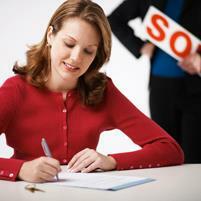 There are several pitfalls inherent in the home-buying process. This article helps you become a savvy buyer.